We use the finest Vibram soles available to recraft your Blundstones, restoring them to better than factory new condition. 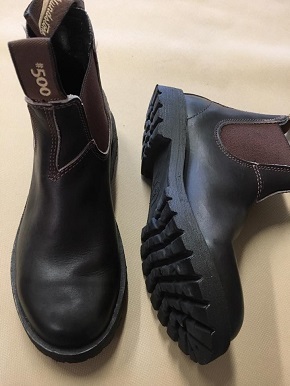 We do quite a few of these for our local customers, their repeat business and feedback is testament to our success working with and repairing Blundstone boots. 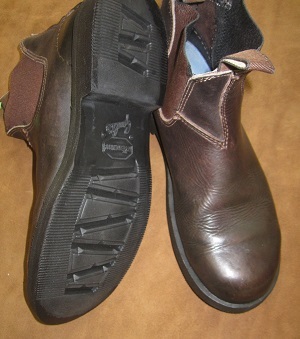 All these soles are made of Vibram Gumlite, a soft and cushioned material similar in density to the original Blundstone soles. Most popular! VIBRAM 1705 made of Gumlite, a soft and cushioned material similar in density to original Blundstone soles. The 1705 has a lug pattern that offers more traction than the 1716. The deep lugs give excellent grippping power. Low profile, more of a dress look. 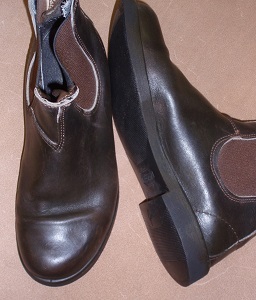 Also made of Gumlite, this sole offers a smoother profile, preferable for a dress look. We've also had people say they prefer it for riding with stirrups. Another smooth profile, but a little thicker than the 1716. Also has a little higher heel. Print and complete our shipping form . Take your boots and the shipping form to your nearest US Post Office and ship them to us. We'll take care of the rest! Please allow about a week for our boot rebuilding process. 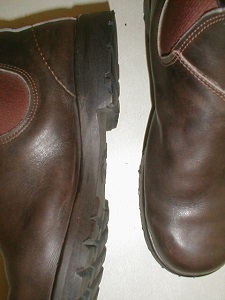 We are a full service shoe repair shop located in Salem, Oregon. Our mission: Quality craftsmanship and materials, reasonable prices, and fast, friendly service.